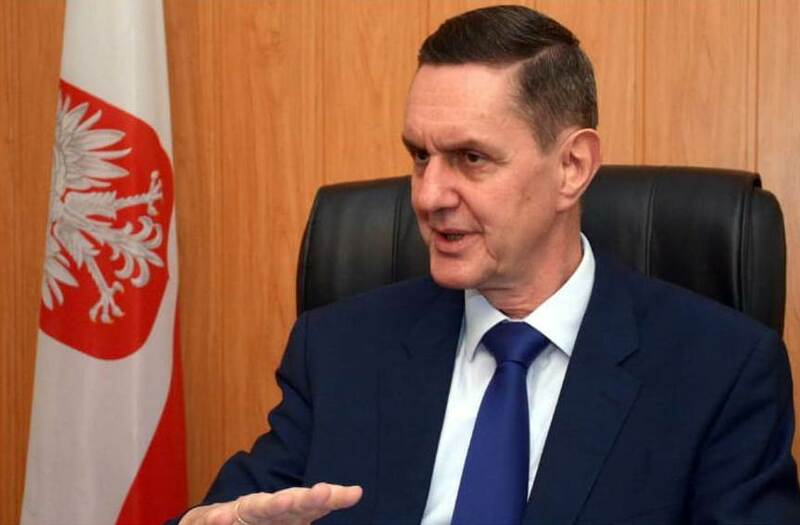 Islamabad, Feb 03: Piotr A. Opalinski, the Ambassador of Poland to Pakistan has said that Poland values its historical links with Pakistan and enjoys the multifaceted collaboration. Currently, the two countries are significantly developing their political, economic and defence cooperation. The current trade volume is reaching a half billion Euro and there are good prospects for the further growth of their bilateral trade. Peace and stability is the key for the development of the region. Poland supports the peace process in Afghanistan and acknowledges Pakistan’s efforts in facilitating the talks between the US and Taliban. Polish Ambassador Piotr Opalinski said that the relations between Pakistan and Poland are ‘excellent and very cordial’. He pointed out both at the ongoing political dialogue as well as enhancement of economic cooperation, especially in the areas of energy and exploration of natural resources, in which Polish companies have been engaged in Pakistan since last 20 years. He said that Poland’s vast expertise and long tradition in coal mining, defence production, agriculture and food processing offered new opportunities for the mutually beneficial cooperation in these areas as well. Ambassador stated, that Poland supported the inclusion of Pakistan in the GSP Plus by the European Union (EU) to grant non-reciprocal preferential treatment to Pakistan’s exports. He emphasized that the geographical location of Poland in the exact centre of Europe made it very suitable to become a hub for Pakistani products designed for the European market. The bilateral trade volume in 2018 raised to about 500 million Euro. The trade balance is in favour of Pakistani exports, mainly textiles (90 percent), with a relatively smaller share of leather products, sportswear, foodstuff and surgical instruments. Answering a question about visa policy, the Ambassador said it was based on the common Schengen Visa Code, as Poland, being one of 26 Schengen Member States, issues the visas allowing for a border-free movement of travellers in the whole area in all categories of travels – businessmen, tourists, students etc. The available statistics indicate that the number of visitors from Pakistan to Poland is gradually increasing. Talking about the regional and international situation, the Ambassador appreciated Pakistan’s role in the Afghan peace process and its efforts in facilitating the talks between the US leadership and Taliban. Poland wholeheartedly supports peaceful resolution of the protracted conflict in Afghanistan, to the benefit, stability and development of the whole region.